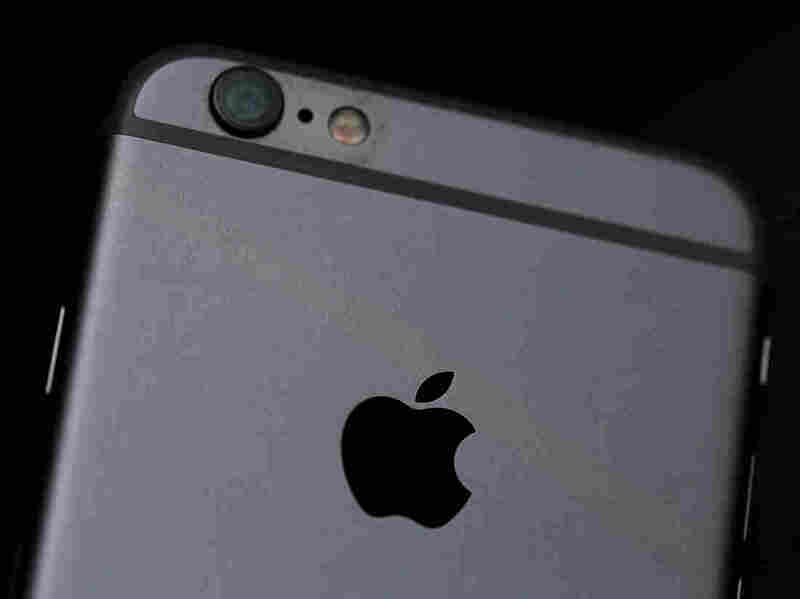 Beijing Says Apple's iPhone 6 Violates Chinese Design Patent : The Two-Way Beijing's intellectual property authorities have ruled that the iPhone 6 and 6 Plus too closely resemble a smartphone by the Chinese company Shenzhen Baili. Apple has hit a new snag in China: Beijing's intellectual property agency has ruled that the iPhone 6 and iPhone 6 Plus violate a design patent by one of China's own smartphone-makers. Authorities found that this older generation of iPhones looks too similar to a phone, the 100C, made by a company called Shenzhen Baili. As a result, Apple was ordered to stop selling the iPhone 6 and 6 Plus in Beijing. However, Apple says it appealed the order and the ruling has been stayed for the duration of the appeal — meaning that for now, the sales will continue. Curiously, the order did not apply to the latest generation of iPhones, the 6s and 6s Plus, even though they closely resemble the older phones. Apple is expected to introduce yet another new generation of iPhones this fall. According to The Wall Street Journal, some mobile-phone stores in Beijing stopped selling the 6 and 6 Plus "months ago" in favor of the current models. "While the decision covers only Beijing, future lawsuits against Apple could take the case as a precedent, potentially influencing the outcomes of litigation elsewhere in China. Baili is one of scores of smartphone brands trying to cash in on the country's mobile boom." The full motives and implications of Beijing's ruling aren't entirely clear, though it's only the latest of Apple's hurdles in China, the world's biggest mobile market. In April, Chinese authorities shut down Apple's iTunes Movies and iBooks Store. In May, a Beijing court gave a Chinese leather goods company the right to use the "iPhone" name on its accessories, such as wallets and purses, undercutting Apple's exclusive right to the label. Apple paid $60 million in 2012 to settle a similar dispute over the right to the "iPad" name in China, according to Bloomberg. As Apple news website 9to5mac.com suggests, a settlement might be the goal in the iPhone design patent dispute, as well.